Luxurious ambience surrounded by a lovely nature reserve, overlooking the Atlantic. This 5-star beachfront resort benefits from a unique location surrounded by the beach sand dunes of the Salgados beach, the nature reserve and one of the best 18-hole golf courses of the Algarve. 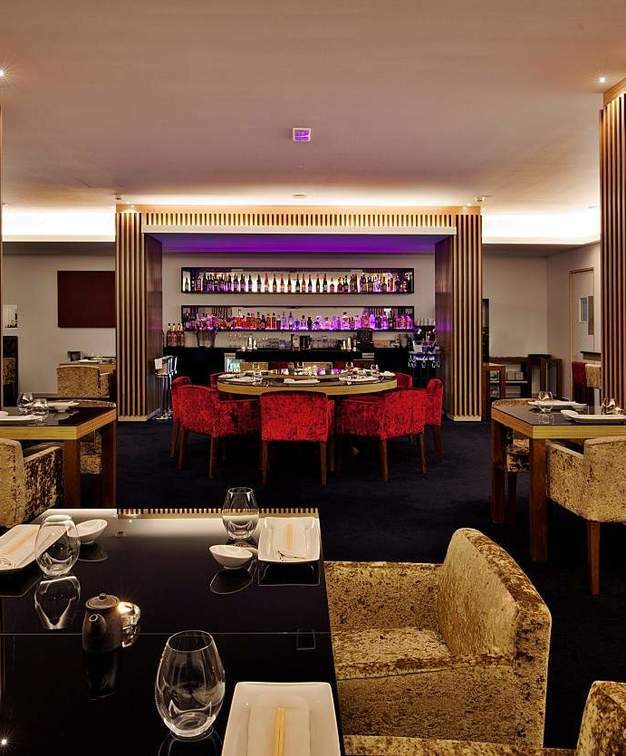 With 4 different restaurants and several bars on property, Vidamar Resort Hotel Algarve also offers a Spa, Kids Club, and the MarClub - an exclusive area where the unforgettable Algarve sunsets can be watched from. 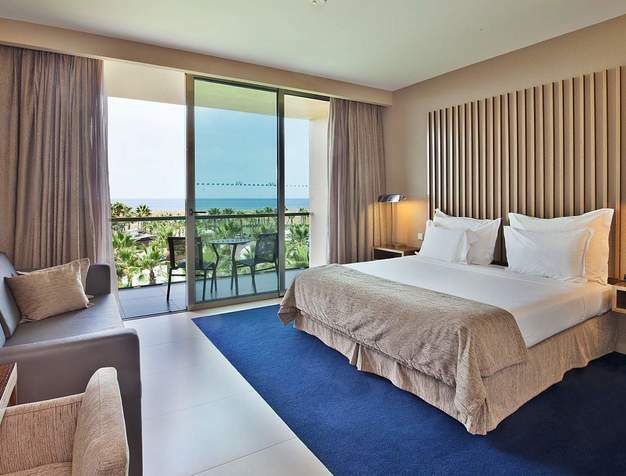 Spacious and with a subtle and tranquil décor, the rooms at Vidamar Resort Hotel Algarve were designed for guests to enjoy the paradisiacal surroundings: with floor-to-ceiling windows, and privileged views over the ocean, the Salgados lagoon, or the exotic gardens. Amazing! All I can say from start to finish is Amazing. Food amazing, room amazing, pools amazing, grounds amazing, beach amazing and staff amazing. I took my 5 year old Son and he cried coming home. 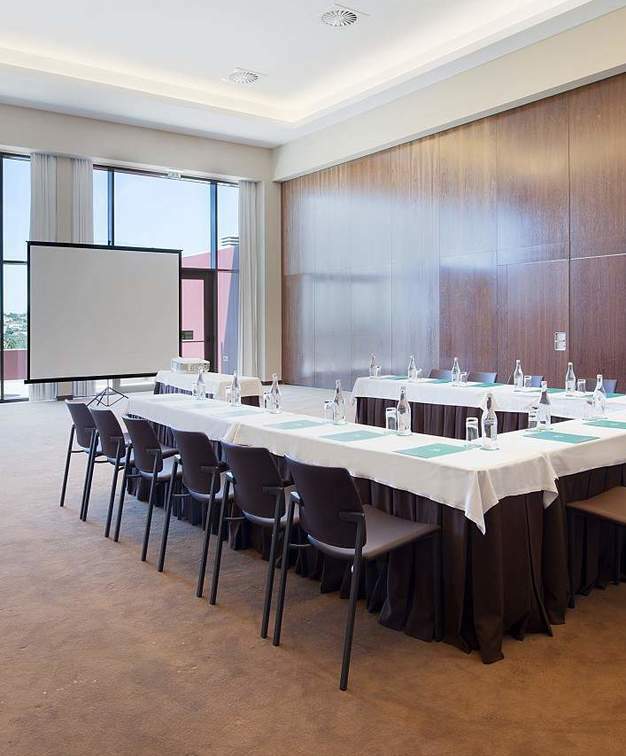 With 7 modular rooms, large terraces and unique exterior spaces, Vidamar Resort Algarve was designed to hel all types of events. Adding to the high-tech equipment is a talented and dedicated team that will do the upmost to accomodate every client's need. Explore the multicultural gastronomy and different ambiences through the 4 different restaurants. From the freshness of the Ocean, to italian cuisine, or oriental flavours, you will embark on a journey full of taste and colour. 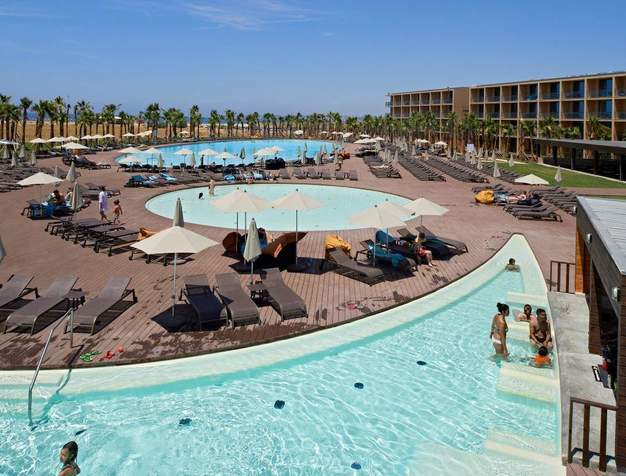 There are several Leisure facilities available at Vidamar Algarve Hotel - three saltwater pools, exotic green gardens and a long wooden walkway over the natural dunes of the Reserva dos Salgados will provide you with pleasurous moments on the outside. The Vidamar Spa will bring you moments of tranquility and serenity and the nearby Golfcourse is one of the best in the Algarve.